Starting with Survey Design, our team of geophysicists can help determine the best methodology for your given area based on physical rock property analysis and other known information. We can help guide an RFP document and recommend survey parameters for the contract between your company and a geophysical contractor. We can then provide QA/QC measures throughout the duration of your survey, for airborne and ground methods. Our experience spans magnetics, gravity, EM (time- and frequency-domain), IP/Resistivity, CSAMT, GPR and borehole methods. 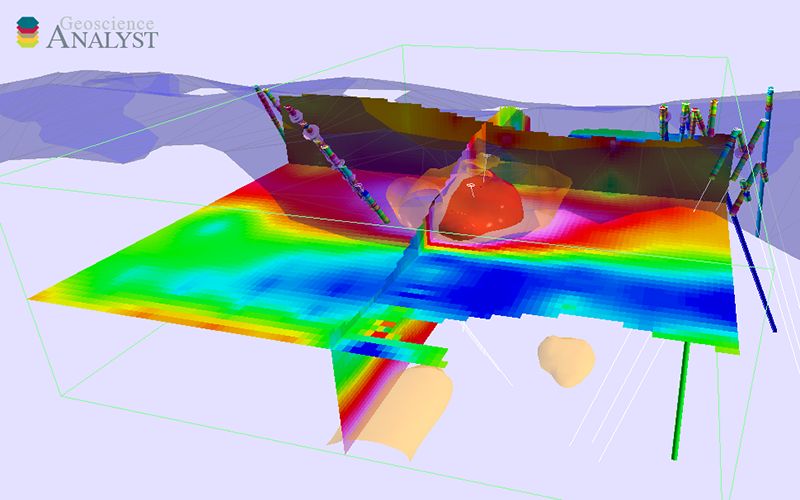 We make sense of your geophysical data by interpreting it from a geological perspective. We can bring this in 3D, conduct inversion modelling where necessary, perform a structural lineament analysis.